Isaacson Gentle Dentistry has been providing Invisalign treatment for over 16 years and with the help of these clear aligners, Dr. Isaacson and Dr. Weisbrod have been able to change the lives of over 400 patients. Being a Platinum Invisalign Provider, Isaacson Gentle Dentistry has the experience and expertise to help correct your bite and smile. 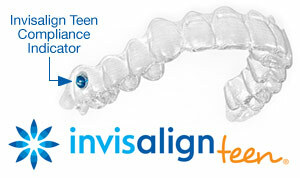 Our team is dedicated to learning by attending numerous Invisalign continuing education classes. We take digital scans with the ITero scanner and can show you a simulation of your corrected tooth smile within a few minutes. We care about you and your smile and are happy to help answer all of your questions. Please call our office at 651-762-7677 to learn more! Are you interested in straightening your smile? Call our White Bear Lake, MN office at (651) 762-7677 to learn more today!